You already know LinkedIn as the world’s largest professional network. It’s also a better way to find great talent. Go to LinkedIn.com/TWIST and get a $50 credit toward your first job post. Have your favorite magazines & back issues, anytime, anywhere. FREE trial TEXTURE.COM/TWIST . If you continue, get Texture for $9.99/mo — over 30% off. At LAUNCH SCALE 2017, Jason sits down with two leaders defining the future of investment. Chamath Palihapitiya, who grew Facebook and went on to found VC powerhouse Social Capital, sets us straight on the state of venture capital and markets today, and what we need to do to win. It’s a turbulent time to say the least; investors need to help founders hunker down and restructure how they’re spending money and get their business models working for escape velocity. (Hint: this does not include the use of ICOs, for which Chamath has many choice words….) Next is David Eun, President of Samsung NEXT who talks to Jason about his formidable work at AOL and Google, which led to him to Samsung and helping founders and startups. David nurtures innovation by meeting entrepreneurs wherever they are, a strategy that’s paying off with 23 (and counting) acquisitions in transformative software, including Smart Things leader in smart home. Exciting days. 0:01 Thank you to our partners LinkedIn & Texture. Go to http://linkedIn.com/twist and get $50 credit towards your first job post. Also, go to http://texture.com/twist to save 30% on your magazine subscription. 0:36 Jason introduces Chamath Palihapitiya (CEO of Social Capital) to the Launch SCALE audience. 1:35 Chamath explains the story of how he managed to become an owner of the Golden State Warriors, and ultimately why he made the decision to own a professional sports team. 4:12 Chamath explains what has changed in startups. He calls it a “bleeding of talent.” Many more entrepreneurs/companies are being born all over the world, but lack the concentration of talent. 6:14 Chamath explains a problem in Silicon Valley of tremendous amounts of capital being invested into companies without adding true value. And his solution to fix this problem. 9:12 An important example of how Social Capital is adding value to their portfolio companies, by asking one simple question. 11:15 Thank you to LinkedIn for supporting TWiST. Go to http://linkedIn.com/twist for a $50 credit toward your first job post. 13:40 Jason talks about the illiquid IPO market, with companies deciding to stay private for longer. Chamath explains the importance of going public & rewarding your employees. 16:45 Google fact: An engineer obsoletes him/herself in 7 years. What does this mean for a company? Chamath explains the lifetime of businesses may be shrinking. 19:00 Chamath explains his solution to solve the liquidity problem through his SPAC (Special Purpose Acquisition Company), allowing companies to go public within 90 days. 21:31 Explanation of how a SPAC works. Chamath compares it to Facebook acquiring WhatsApp. 23:34 How Social Capital thinks about outsourcing knowledge to help build businesses. Chamath explains the benefit of “Knowledge as a Service”. 25:17 Thank you to Texture for supporting TWiST. Go to http://texture.com/twist to save 30% on magazine subscriptions. 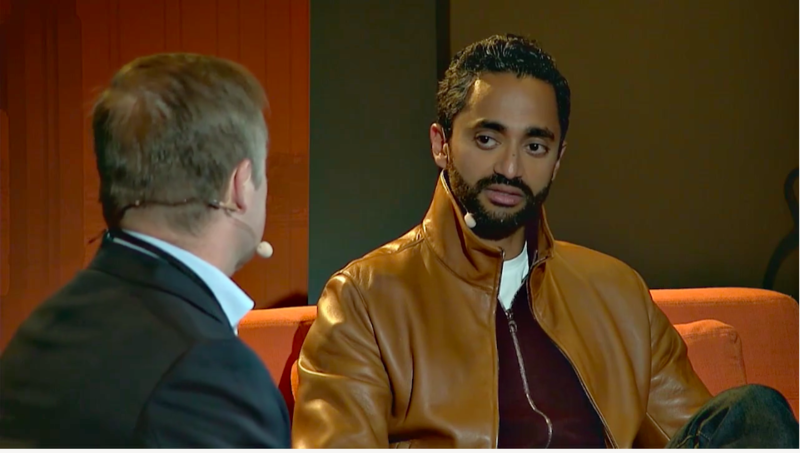 29:21 Chamath explains how Venture Capital will be disrupted by people creating value. And what it takes to build a great company. 30:38 Chamath talks about Slack, why he thinks they’re a fantastic company, and how Social Capital is helping them along the way. 34:22 Chamath explains his view on the current economy. Comparing it to the last 30 years. And mentions that it is a scary time to invest in the public markets… right now. 37:12 Jason asks Chamath: What are your thoughts on Seed & Early-stage becoming less attractive to Venture Capital firms? Chamath explains why this is happening. 38:58 Jason takes notes from Chamath on how to make a syndicate better. And concludes the fireside chat. 41:18 Jason introduces David Eun (President of Samsung NEXT), for another fireside chat. David played a key part in the AOL acquisition of Jason’s company, Weblogs Inc.
43:33 David explains why he decided to join Samsung. He saw the large footprint that Samsung has with their TVs and realized it can be a key player in software as well. 45:11 David explains how he convinced Samsung to start investing in startups, which lead to creating Samsung NEXT (A startup within Samsung, focussing on startups). 48:26 David explains how he met SmartThings, which was eventually acquired by Samsung in 2014 for 200M. 51:58 David explains some M&A best practices. Retaining your identity & culture, for example, keeping your email address the same. 54:56 Jason & David talk about the world being interconnected. For example, Apple products using Samsung components etc. 56:48 David explains Samsung NEXT’s investment process, including the rounds they like to participate in, average check size, and the industries they look at. 59:08 How does a founder manage the delicate timing of his/her product? David explains: It’s more of a marathon than a sprint. 1:01:54 David talks about what needs to happen in order for VR to get mass adoption. 1:04:30 Jason asks David when we’ll start to see AR glasses. David explains the different types of glasses. 1:06:45 Jason gets excited about looking for an AR company that reduces the error rate in professions. For example, reducing errors while performing surgery. 1:08:11 Q&A segment begins. Question #1: How do you get investor interest in a “chicken & egg” situation? 1:11:23 Question #2: Is there any focus on building the app ecosystem in Samsung Smart TVs? 1:14:31 David explains the “second screen experience” that Samsung is working on for their TVs. Jason makes a connection to his Game of Thrones struggle. 1:15:55 Jason and David briefly talk about the content business, and why Samsung is not in participating in it.